Joining Michael Raso in the studio today is Mark Dalzell, Mark O’Brien, and Leslie Lazenby. 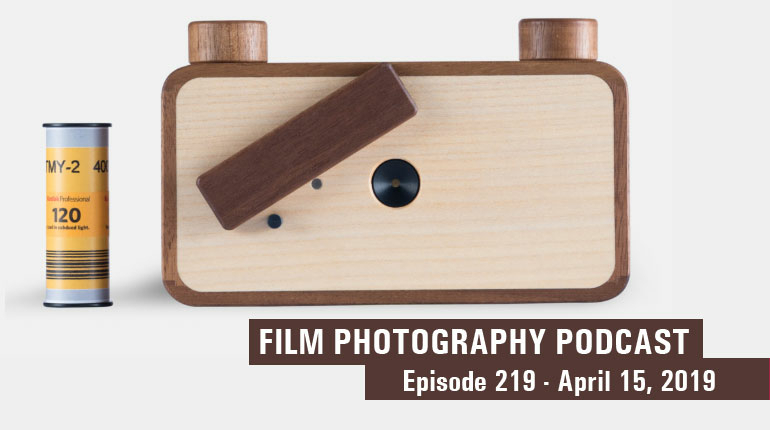 Today's topics include Vintage Camera Prices, the Rollei Prego 145, Slide Projectors and more - so grab that coffee and settle in for today’s show! There’s no denying the popularity of Point & Shoot cameras these days, certain models have gained a bit of a cult following (and their prices can be astronomical!). 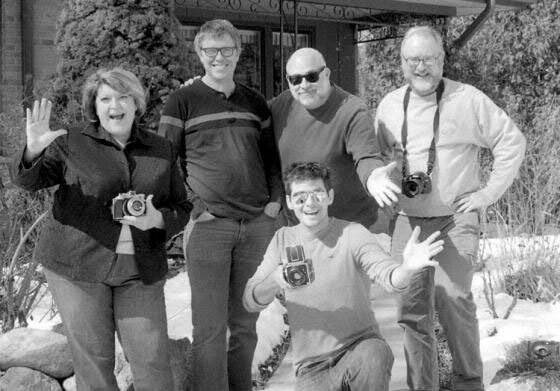 Regardless, Mark D has jumped on the P&S bandwagon as he shows off today with his Rollei Prego 145. The Prego line has many cameras in it, and the model number seems to denote the maximum focal length, so in the case of the Prego 145, the lens is a 38-145mm f/3.7-10.9 zoom lens. The camera itself is fully automated with shutter speeds running from 1/3 to 1/400 and DX code reading from ISO-50 to 3200 This isn’t the usual camera used by Mark D, but he saw the Rollei name and figured it’d be a good little used camera to pick up. The first thing he noticed was that the whole top LCD was burned out, and while the camera has all these great features like backlight compensation, continuous shooting (1 FPS), false panorama - but unfortunately these can't be used because the screen is toast! Thankfully, the zoom works...and he can take photos. The Prego line came out in the mid-1990s, with the most famous being the Prego 90. For a tiny camera there’s a lot of features, but Mark expected a little more out of the build quality (the image quality he's quite happy with). What he really likes about the camera is that when he turns off the flash, it allows him to take pictures of people without them knowing! Point and Shoots are no stranger to the rest of the gang, as Leslie runs with a Prego Micron and Michael a Ricoh GR-1, although they both have experienced a variety of mishaps during use due to the age of the cameras and stages of disrepair, and cost of replacement. A long time eBay seller, Mark O'Brien has seen a slow creep in the cost of camera bodies, including average cameras like the Pentax K1000. But where Mark has seen a steep rise in cost is in camera lenses, the biggest culprit being mirrorless digital cameras that can, through an adaptor, use vintage glass (especially anything from Leica or Zeiss) and premium compact cameras with the Zeiss glass (think Contax and Yashica, which both are made by Kyocera). Given their age and the fact they’re completely electronic and plastic will fail, you can end up stuck with some very expensive paperweights. We’ve never seen a Nikon F or F2 come in that didn’t work! Even the zoom Olympus cameras will run 40-50 dollars. To Mark, the rising cost comes down to two factors. One we’re dealing with a finite resource here, especially of the premium compacts. And as Leslie says, a lot of High Schools and Post-Secondary institutions are bringing film back into their photography programs, which also puts a strain on the supply of gear. If you’re getting frustrated with eBay, Mark D recommends looking at Estate Sales, Garage Sales, or Estate Auctions. Best spot for look at Estate Sales is the website estatesales.org (good for the USA only). In Canada, you can use Kijiji to hunt down Estate Sales. Not to mention Craigslist and local camera shops that have a good used selection of gear. Kodak’s first slide projector came out in 1935 with one simple reason: to show off Kodachrome slides. These first projectors were known as Kodaslide Projector, and these were manufactured up until the 1950s. Due to their age, Leslie does not recommend getting one of these - the lamps might even roast your slides! The next line for Kodak was the Cavalcade line of projectors. These used a tray type slide holder; however, the bulbs were only rated for 10 hours, so these are another line to avoid - they’re expensive to operate, the bulb could run you 75 dollars today and good luck finding a tray! After the Cavalcade came the iconic slide projector, the Carousel! The design care of Louis Misuraca was first released in 1961 as the model 550. The Carousel, made famous by the scene in the AMC show, Mad Men. Many people just loaded up the slides and just wrote on the tray and stored them that way. But if you are looking at a carousel projector, the model you want to look for is the Ektagraphic. The first Ektagraphic came out in 1967 and was produced until 2004. These used a 300W bulb, which are still available today, and the newer projector the cheaper the cost. Swapping these lenses is easy, since they are located in housing, much like your digital projector lamps today. These newer projectors also had better cooling with properly installed fans. Do be aware that you have to watch the wattage of the bulb, since over time slides, like skin, will start to be affected by the heat and light. The ideal Ektagraphic is the Model III, specifically the IIIa, IIIb, or IIIf which saw production from 1981-2004. Also, the lenses that were used on an Ektagraphic are amazing, often they’re zoom lens and pretty fast (Leslie has one that is an f/2.5). Don’t worry about whether or not the projector includes a remote, since most projectors have the advance and reverse button on the body. One of the more interesting projectors is the Audio Viewer. These units take a typical carousel tray, but they have their screen on the unit so you can view the slides right there. While the effect is nothing like viewing them up on the big screen, these units are great if you have a pile of slides you need to sort through before editing them. 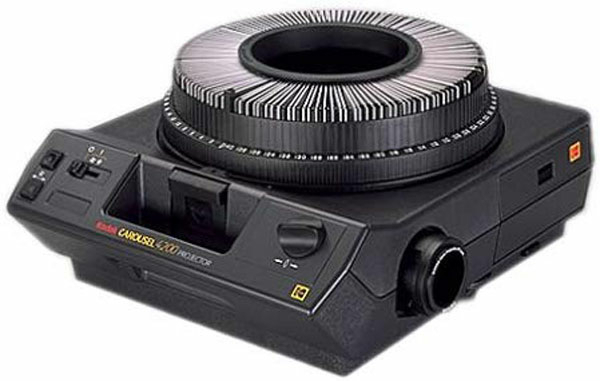 Additionally, these units can be set to automatically advance slides and have a cassette tape player and recorder to allow for narration to play along with the slide show. The model that Leslie recommends is the Kodak Audio Viewer. For the full slide-show experience you’ll also want to invest in a projection table with a plug for your projector and a little light that allows you to look at the slide to ensure it is installed correctly. This model takes us right up to the 1990s and the era of PowerPoint, when you could still create slides and slide shows by sending your presentation to a slide printer who would convert it into physical slides. Lastly, Leslie made a great video outlining the Polaroid Instant Slide System; which although costly, can still be used today. Well, that’s it for this show, but don’t worry we’ll be back quicker than you think. Until then if you have tales of having to sit through one of those slide shows of a family vacation from a neighbour, friend, or even a family member we’d love to hear from you! Send us an email podcast@filmphotographyproject.com or by regular mail Film Photography Podcast PO Box 264, Fair Lawn, NJ, 07410. Additionally, connect with the whole community over our Flickr Group, like us on our FPP Facebook page and sign up for our newsletter for all the latest and greatest from the FPP! Alex Luyckx is an IT Professional at Sheridan College in Oakville, Ontario. He loves shooting both film and muskets as well as reading and reenacting history. He has a particular love of Military History from the French-Indian War up to the end of the Cold War. You can follow along with his adventures at www.alexluyckx.com/blog.